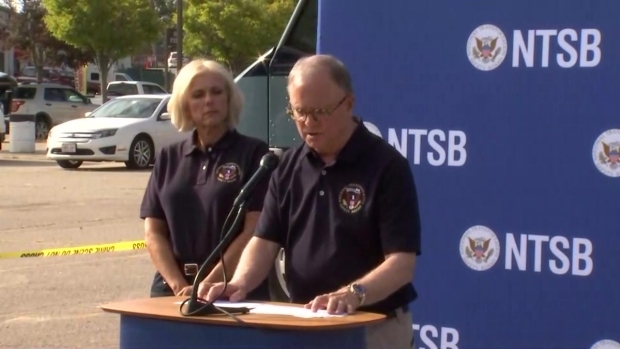 "We're very interested to understand the operations of Columbia Gas,'' National Transportation Safety Board Chairman Robert Sumwalt said. Massachusetts Governor Charlie Baker said on Saturday that they expect to have their phase one restoration effort complete overnight, allowing people to return to their Merrimack Valley homes Sunday morning at 7. The series of explosions and fires Thursday killed a teenager, injured dozens, damaged homes and forced thousands of people to evacuate. The disaster rocked three communities north of Boston in the Merrimack Valley: Andover, North Andover and Lawrence. 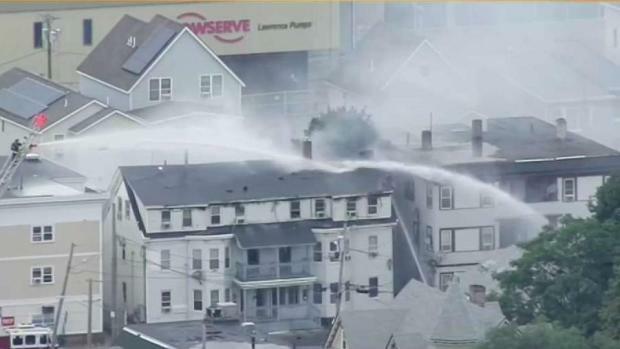 The chaos and confusion caused by an over pressurized gas line in the Merrimack Valley is beginning to settle as Republican Massachusetts Governor Charlie Baker says officials are starting to make some progress. At a Saturday evening press conference, Gov. Baker announced that people would be allowed to return to their homes at 7 a.m. Sunday morning. While Gov. Baker acknowledged there is a lot more work to do, his announcement was good news for the 8,600 people who lost gas and more than 18,000 who lost power. 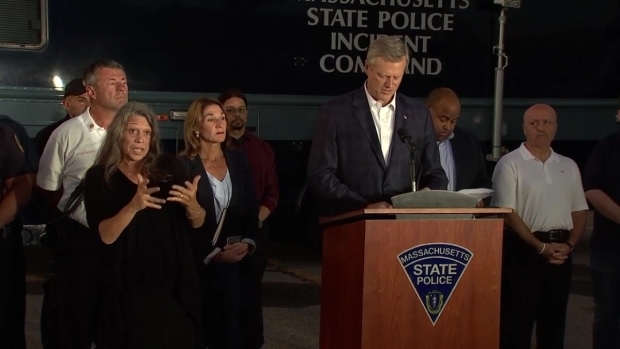 Governor Charlie Baker held a press conference Saturday evening in which he announced people can return to their Merrimack Valley homes at 7 a.m. Sunday. Gov. 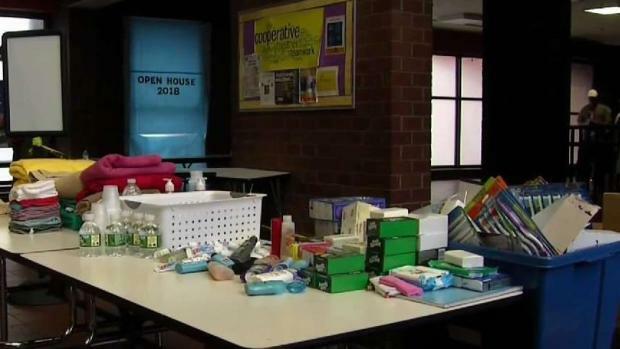 Baker also announced they are opening a Recovery Resource Center to ensure that the people who were impacted by Thursday's gas line incident have access to the resources they need to get back on their feet. It is located at Arlington Middle School in Lawrence. For those returning home, officials remind people to not turn gas service on by themselves if it is disconnected. People are asked to call the hotline number for service restoration at 1-866-388-3239. Also, residents should be vigilant and call 911 immediately if they smell gas. Not everyone will be able to return to the comfort of their own homes, however, as some are permanently displaced. Only days after the deadly gas explosions shocked Lawrence, Andover and North Andover, the investigation into what exactly happened is just beginning. A federal investigator said Saturday that there's no evidence to suggest the gas explosions that rocked communities north of Boston were intentional. Investigators will also look at how local Columbia Gas officials responded to a "pressure increase'' in the Lawrence area that was detected at the company's pipeline control center in Columbus, Ohio, prior to the explosions and fires. "We're very interested to understand the operations of Columbia Gas,'' he said. National Transportation Safety Board Chairman Robert Sumwalt said that there doesn't appeal to be "anything nefarious, anything suspicious, anything intentional" about the series of explosions and fires in the Merrimack Valley. Gov. Baker declared a state of emergency for the area and put Eversource Energy, another utility, in charge of recovery efforts after state and local officials said they were unsatisfied with Columbia Gas' response. Gov. Baker said he and the other community leaders tried to give Columbia Gas an opportunity to deal with the situation, but the company repeatedly failed to honor statements they had made. "On a number of very significant issues, we heard one thing and something else happened," he said. "The follow-through just wasn't there. We don't have time. We need to get on with this." Lawrence Mayor Daniel Rivera was also heavily critical of the gas company and was brought to tears by the incident. Thousands of people remained displaced Saturday from their Lawrence, Andover and North Andover homes nearly three days after the disaster. 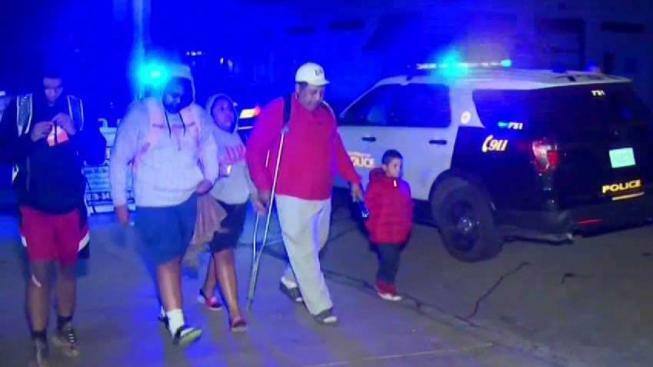 The community response to the Merrimack Valley tragedy has been incredible, as everyone tries to help those forced to evacuate their homes following the series of explosions and fires. To address this, Eversource brought in scores of additional resources to restore service as soon as possible. "Over 900 crew members are assisting w/ this restoration effort. Workers are going door-to-door, shutting off all 8,600 gas meters and ensuring homes and businesses are clear of natural gas," the gas company said in a tweet. "We anticipate this critical first phase will be substantially complete tonight." Gov. Baker said resources and personnel have come in from as far away as Ohio. "Clearly, when the call went out, it was answered," he said. An estimated 8,000 units that use Columbia Gas were ordered to evacuate on Thursday following the explosions. Nearly 200 people have taken shelter in the nearby Arlington Elementary and Middle School in Lawrence. Area businesses as well as major retailers like Target have donated supplies for relief. "We've had so many donations coming in from businesses, from individuals," said Kolleen Jaillet from the Red Cross. "We've had kids use their money to bring board games in for other kids." First responders have also been continually praised for their efforts during the crisis.